As your big day approaches you begin to think about all of the details that will make your Wedding the perfect event! At Dana Markos Events we are all about adding in the special details that will make your day even more special, so we tend to have a great appreciation for anyone who looks to go the extra mile. 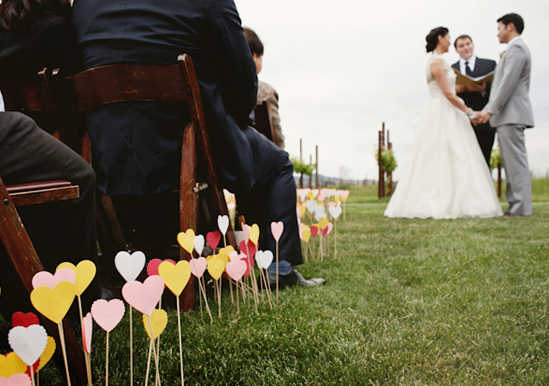 The ceremony is the opening to your Wedding, so it's the place to set the tone. 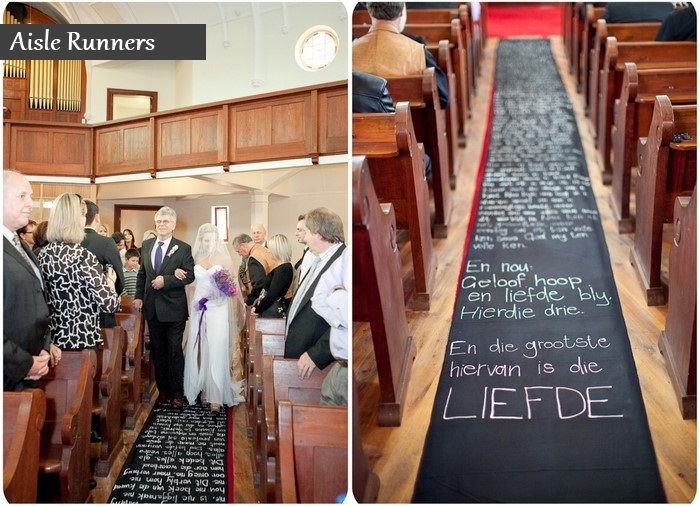 By doing something special with your ceremony, you will be able to introduce your guests to what they can expect! 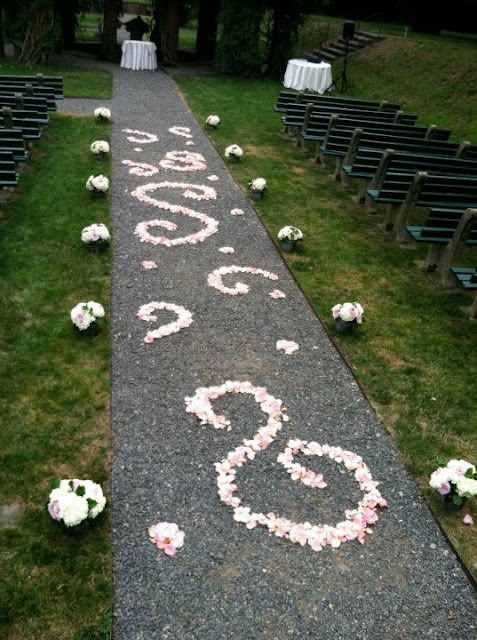 The traditional use of flower petals is to have them scattered down the aisle, usually by the Flower Girl! Why not change it up and have a unique and beautiful design scrolled through instead! 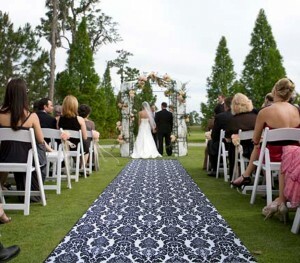 Make sure there is plenty of space for guests to get into their seats without disrupting the pattern, and you will have a gorgeous unique aisle! If your having your ceremony indoors, you will be able to play with the lighting and ambiance in a way that outdoor weddings can not! 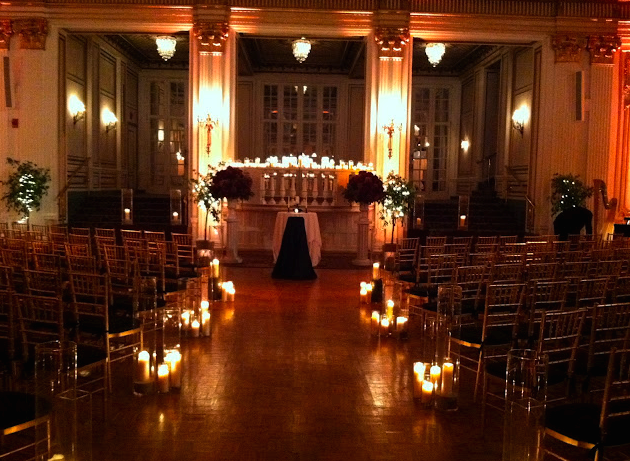 By keeping the overhead lighting to a minimum, candles can light the way down the aisle and create a beautiful dusk feeling for this intimate moment! If the traditional use of floral petals or candle light aren't what you had in mind, maybe you should consider a more unique object or shape to run down the sides of your aisle? 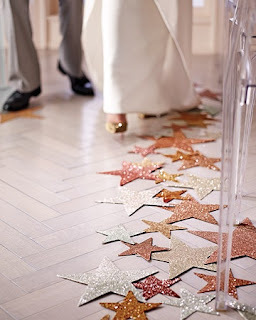 These sparkling stars and tiny hearts on pics are adorable and show off your spunky personality and definitely something your guests haven't seen before! 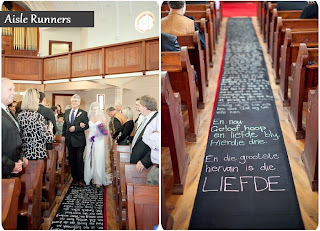 Traditional aisle runners are an elegant way to send the Bride down the aisle, but they tend to be somewhat boring in white or off white. If you want to spice things up make a major change and use something in another color, a pattern, or even something extra unique that adheres to your overall theme such as the blackboard design below! Definitely a great way to show your guests your personality! Many Brides choose to make the major focus on the reception portion of their wedding by adding in all kinds of special details! Don't forget to bring these touches to your ceremony as well! It is the place where your guests will receive their initial glance at your wedding style, so why not impress them early on with something they haven't seen before!